Why it matters: Net neutrality is once again on the forefront as the fight for an open internet rages on. After over a year of appeals, a consumer advocacy group led by Mozilla will begin making oral arguments to the D.C. Circuit Court of Appeals requesting that the FCC's 2017 decision to repeal net neutrality laws be vacated. Millions of Americans will be affected by the decision to either uphold or vacate the FCC's decision, as the power given to internet service providers hangs in the balance. Supporters of net neutrality will get their chance to square off against the Federal Communications Commission (FCC) beginning tomorrow, February 1st. 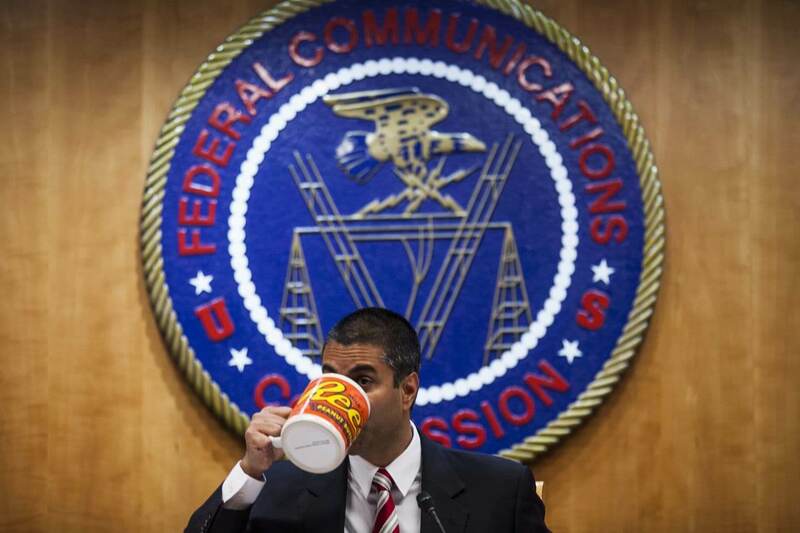 The FCC decided in December 2017 to roll back Obama-era internet rules, opening the door for potential website and content favoritism by internet service providers. Net neutrality is the principle that all data should be treated equally by internet service providers. Without net neutrality laws in place, it's theoretically possible for broadband companies to discriminate against individual users and content. A high-profile example of this occurred in July 2017, when Verizon Wireless was accused of throttling users' speed when using Netflix and YouTube. Shortly after the FCC's decision, a coalition of state agencies, attorneys general, consumer advocacy groups, and internet businesses sued the agency and requested that the D.C. Circuit Court of Appeals vacate the repeal of neutrality rules. After over a year of debate, the coalition, led by Mozilla, will make their initial oral arguments at 9:30am on Friday. At the core of the petitioners' argument is the question of whether or not broadband is defined as a telecommunications service. If so, then broadband is defined under US law as being "the transmission, between or among points specified by the user, of information of the user's choosing, without change in the form or content of the information as sent and received." In layman's terms, this definition of broadband would mean that all transmissions are protected speech, and neither the content or the delivery can be manipulated or modified in any way by a controlling party. Tone-deaf FCC Chairman Ajit Pai has attempted to make the case that broadband is an "information service" and therefore does not fall under the telecommunications service laws. US law defines an information service as "the offering of a capability for generating, acquiring, storing, transforming, processing, retrieving, utilizing, or making available information via telecommunications," and the classification as such would allow broadband companies to provide access as they see fit. Massachusetts Senator Ed Markey, a co-author of the Telecommunications Act of 1996, addressed the court battle and believes the broadband is clearly defined as a telecom service. "Both the plain language [of the law] and congressional intent make clear that broadband is a telecommunications service," Markey said. "As the House author of the bill I know firsthand what we intended in 1996. Yet, Chairman Pai ignored the statute and our intent when the FCC reclassified broadband to an information service and eliminated net neutrality rules." A recent example of the risks presented by the mitigation of net neutrality came in August 2018, when a fire department in Santa Clara, CA had its data service throttled by Verizon Wireless while fighting the historic Mendocino Complex Fire. The department had paid for unlimited data, but suffered throttling and were forced to pay an additional fee to restore their full bandwidth. Aside from the Santa Clara Fire Department debacle, there have been no major examples of ISPs taking advantage of relaxed net neutrality rules. But there is speculation that ISPs are simply waiting for the appeals process to play out before they start acting in ways benefiting their economic interests. If you're interested in following the case live, the D.C. Circuit Court provides live streams of oral arguments. If you'd like to dig even deeper, the petitioners' joint brief and the DoJ's defense are also publicly available.